Reckless driving is one of the most overcharged traffic citations in the state. Do not let a police officer place your driving privileges in jeopardy just because he or she was angry at the way you were driving! Remember that there are certain basic elements that the government has to prove for the judge to convict someone of reckless driving, and speeding alone is usually not enough to do this. The Herbst Firm will fight to protect you from a reckless driving conviction, and we will do everything possible to try to keep points off your record. Reckless driving is classified under the transportation section of the Maryland laws, rather than under the criminal laws section. This can create some confusion, but it is a misdemeanor, and a conviction can result in a person having a record due to the fact that many other states classify this offense as a crime. On the other hand, it is one of the few misdemeanor offenses that may not result in a term of imprisonment. A district court judge may not sentence a person charged with this offense to any jail time, regardless of how egregious the driving pattern was alleged to have been. In fact, the maximum penalty for this misdemeanor is a fine of $1,000. On the other hand, just because the maximum penalty is only a fine does not mean that these charges should be taken lightly. Reckless driving can result in a conviction that can stay with a person for their entire life, and can also result in driver license suspensions that will severely impact a person’s ability to live a normal life. A conviction carries up to 6 points. Contact a criminal defense lawyer for a detailed explanation of the possible consequences that this citation may carry. Maryland law defines reckless driving as driving a motor vehicle with a willful or wanton disregard for the safety of persons or property. The law also states that a person may be guilty if he or she drives in a manner that indicates a willful or wanton disregard for the safety of persons or property. This second sentence may seem repetitive, but it does serve a purpose in taking out the intent factor for the crime. In other words, you could be in perfect control of your car and minding your own business, but if a police officer or another driver thinks you are placing them in danger, you could be charged with this citation. Thus the law can be highly subjective. An experienced traffic lawyer understands that the opinion of a police officer can often be the only evidence in a case, and therefore it is highly important for a lawyer to develop a firm line of cross examination questions for that police officer. Benjamin Herbst has won won reckless numerous reckless driving trials, and is prepared to win yours as well! The state reckless law also includes negligent driving, which is defined as driving in a careless or imprudent manner that endangers the life or property of a person. Negligent driving is also a misdemeanor and carries the same maximum punishment of reckless driving, but only carries 1 point on a driving record. The words that are used to define reckless driving and negligent driving are extremely general, and leave much open to interpretation. 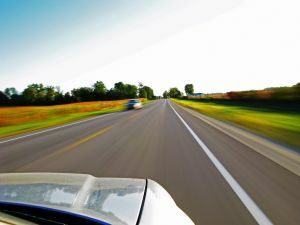 Typically, the cases that we have seen include such driving patterns as following too closely, erratic lane changing or weaving, driving on the shoulder, and passing another car in an area where passing is prohibited. Keep in mind that police officers have a tendency to charge a person for traveling at an excessive speed, but speed alone cannot support a conviction of reckless driving. Police have also been known to write tickets if a person accelerates too quickly and leaves skid marks on the road. Both of these citations are traffic criminal charges that must be handled in a prudent manner to avoid serious consequences. The Herbst Firm is available anytime for a free consultation about your traffic citations.